I recently read an article in Florida Realtor Magazine which is a trade magazine for Realtors that showed 14% of Realtors are using video. The article focused on the fact that video is now the number one Internet activity even surpassing emailing. They recommended using YouTube Analytics to verify the reach of the video audience. Realtors Using Video! Because the Ellis Team has used video for awhile I decided to look at the analytics and see if the results the magazine touted matched what we were seeing. In the past 30 days our channel www.Youtube.com/brettellisfl has received 4,471 video views. 71 came from a Google search about SW Florida. 33.9% came from mobile apps which may explain why Facebook is concentrating so much on the mobile platform. The YouTube search pulled in 691 video looks so one could argue YouTube is a bigger search engine than Google is, at least for video. Recently we’ve sold homes to buyers from Germany, Canada, and Dubai, so I wanted to see if video is helping us reach those markets. Sure enough, Germany and Canada scored very high at #2 and #3 right behind the United States. 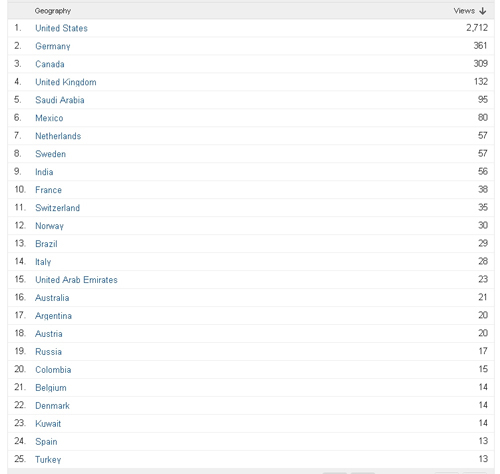 United Arab Emirates came in at #15 with 23 video views. The buyers said they were on our website and found us on the Internet, but I guess the next question should be where on the Internet? 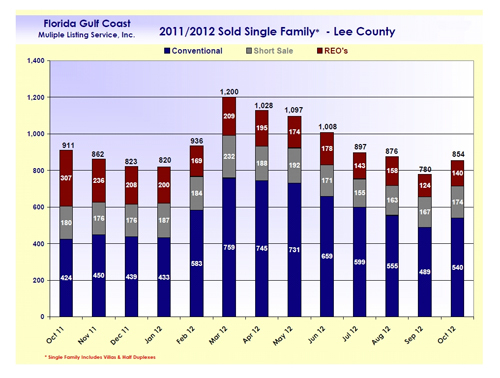 Did these buyers find us on our MLS property search page www.AllswflRealestate.com or www.LeeCountyOnline.com ? Did they find us on video first which led them to other areas on our site? When a buyer says they found us on the Internet, maybe watching a video is the sum total of what they meant and they looked no further? The International list goes on for pages so we just showed the top 25 this past month. I’m amazed that there were 13 views from Turkey, 14 from Kuwait, and 95 from Saudi Arabia. Could it be that we’ll sell a luxury home to a Prince from Saudi Arabia in the next month? The answer is it’s possible. Buyers from all over the world are finding Realtors through video. These views we’ve provided don’t even count the virtual tours we use. Last month our virtual tour site link which can be found at www.Topagent.com received 4,125 views in addition to the YouTube video views. Throw in our MLS property search sites, our Topagent.com site as a whole and views, our Blog and the numbers grow substantially. The point is, only 14% of Realtors are using video now and more should be. If Realtors knew the staggering number of people using video to find homes and research areas more would reach out and learn. The trouble is video is hard to do on your own. Sound quality is an issue and production costs are high. With today’s modern technology those costs are coming down. For instance, we produce our shows in-house and add our jingle and graphics. While we have an advantage from doing TV shows and radio shows over the years, an agent without all this could hire a virtual assistant to create logos, music, and even edit videos. An agent can even do voice overs if the initial sound quality isn’t good. Doing video poorly isn’t good, but doing nothing can cost as well. 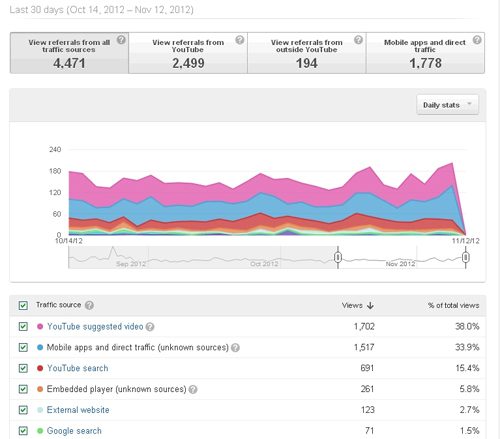 As you can see from the numbers, video is becoming one of the most important things. Reaching the mobile buyer is critical. More tablets and smart phones will be sold this year than PC’s. More Internet traffic will occur over mobile than the office. The sands are shifting, and Realtors have to be at the forefront. The good news is, the real estate industry has always led, and will lead with video. 1. What did the seller pay for the home? What the sellers paid back in time really has no bearing on its value today. If a seller paid $300,000 5 years ago and it’s only worth $200,000 today you’re not going to offer $300,000 because that’s what the seller paid. Conversely if the seller paid $62,000 back in 1975 and it’s worth $300,000 today their not going to sell it for $90,000. 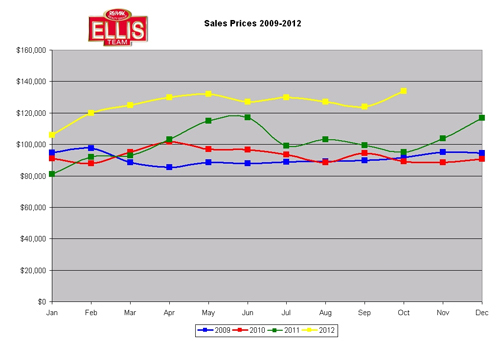 Sellers should expect to sell at today’s current value and buyers should expect to pay that as well. What a seller paid or how much they owe has nothing to do with value. 2. If it’s meant to be it will happen- When a buyer says these words it’s typically out of fear of making a decision, so they sit back and let someone else make the decision for them. Let’s say more than one buyer is interested in a home. Buyer A doesn’t know what to counter offer in light of the news another buyer is interested, so they freeze. They essentially let another buyer make the decision for them. I’ve found in life that when you let others make decisions for you, you might not like the outcome. You are in control of your own destiny. If it’s a home that suits your needs and you really like it you have a chance to control your fate. Step up or you may be forced to offer on your 3rd or 4th best favorite. In this market there is limited inventory, so finding 4 homes you really like might be tough. 3. Is the Seller motivated? If I am the listing agent I simply answer the buyer agent with yes, they are interested in selling or they wouldn’t have put it on the market. 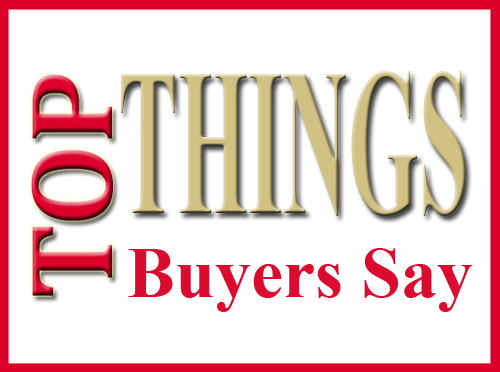 It’s in the buyers interest to find out what they can if a seller or seller’s agent will tell, but it’s not in the sellers best interest to do so. You can always ask the question, but don’t be offended if you don’t receive an answer. The buyer doesn’t get to know the seller’s private business just as the seller doesn’t need to know the buyer’s private business, other than if the buyer is qualified at the agreed upon price. 4. I heard you always offer 10% less on a home. We’ve had buyers say this is a rule where they came from. First off, there is no rule. Secondly, all real estate is local and certain areas may have customs, but I highly doubt asking 10% less in any market is a good idea unless sellers typically overprice homes in a certain area. Most homes in SW Florida sell for about 96-97% of asking price, so if you’re offering 10% less you’re probably losing out to other buyers who are more realistic. If a home is overpriced by 10% or more that’s another story, but those homes typically aren’t getting offers because they are so over-priced. 5. Will the seller do a lease-option? 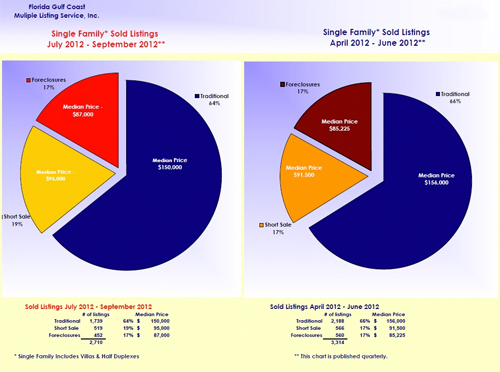 Most sellers wish to sell outright. Occasionally a seller wouldn’t mind leasing first, but they hate to lock in a price today at today’s prices in a rising market. Buyers typically have misconceptions about how the lender will finance the home at the end of the option. Rent money cannot be used for down payment money unless buyer pays over fair market rent as determined by the appraiser and then only that portion above fair market can be credited as down payment. Also, the buyer loses the option money if they don’t close for any reason. Many buyers ask this question because they don’t have good credit today and they may not have 1st month, last month’s rent and security deposit. Both buyer and seller should sit down with an agent and discuss their options first or a situation like this could turn out badly for both later.